This screen shows the detail for a revenue distribution after the job was rated. Once this job is saved the company’s revenues will automatically post to the assigned general ledger accounts. 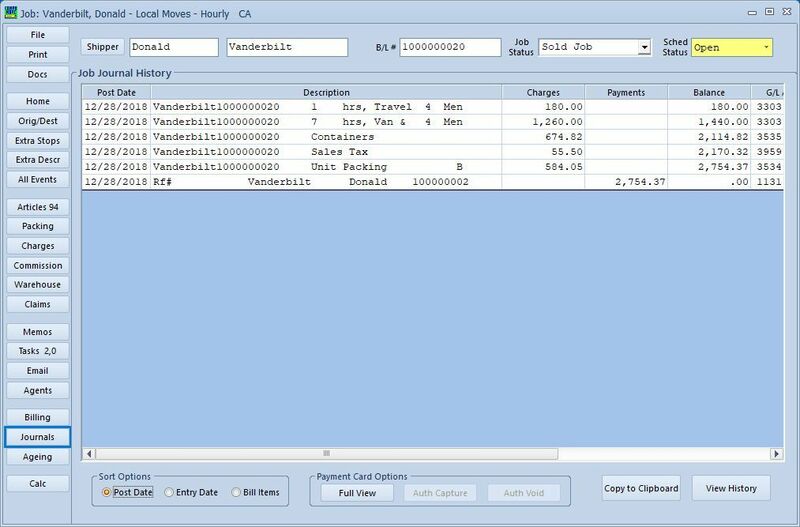 The CompuMove system provides true, single-step integration between the “”front-end”” job operations functions and the “”back-office”” revenue and commission functions of the general ledger. 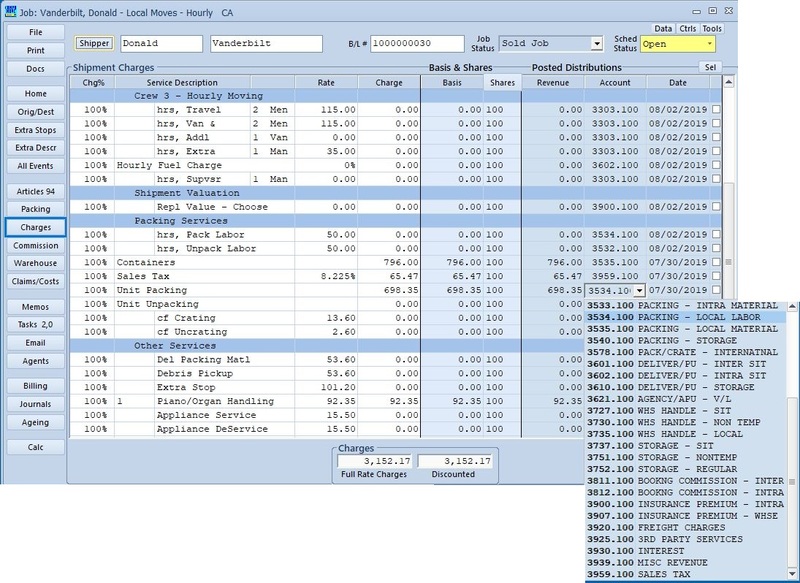 At every step data flows smoothly from the job detail into the accounting system, and complete information is always available to both operations and accounting workers. 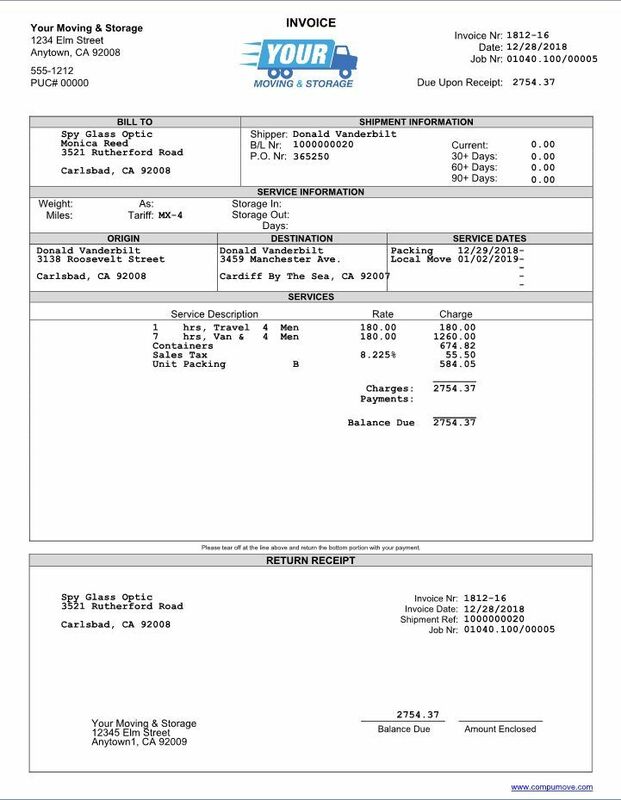 CompuMove produces invoices in a variety of invoices, and can include custom logos or formats, printed on paper or exported as PDF files via email. 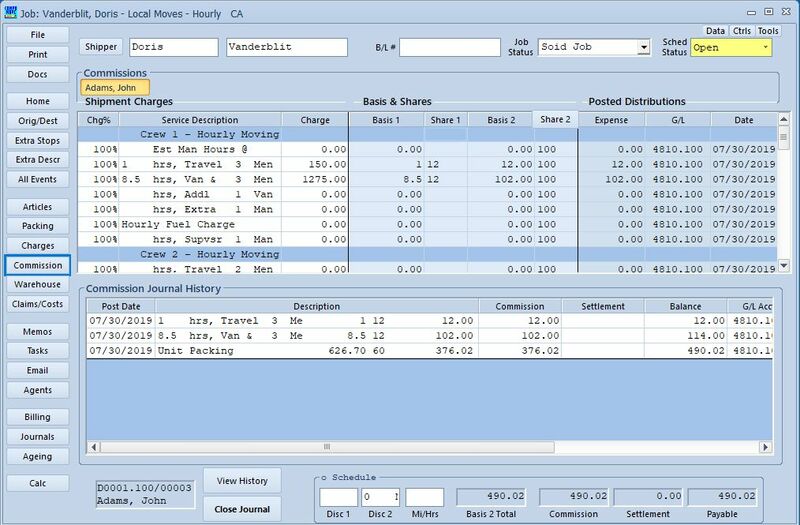 This screen shows the detail for a salesperson or driver commission. The expense distribution will automatically post to their settlement after the workers have been selected and the job is saved. The Data Views function allows full ‘drill-down’ from summary financial totals all the way to the individual journal level, including logging of the date, time, and user name for entries. 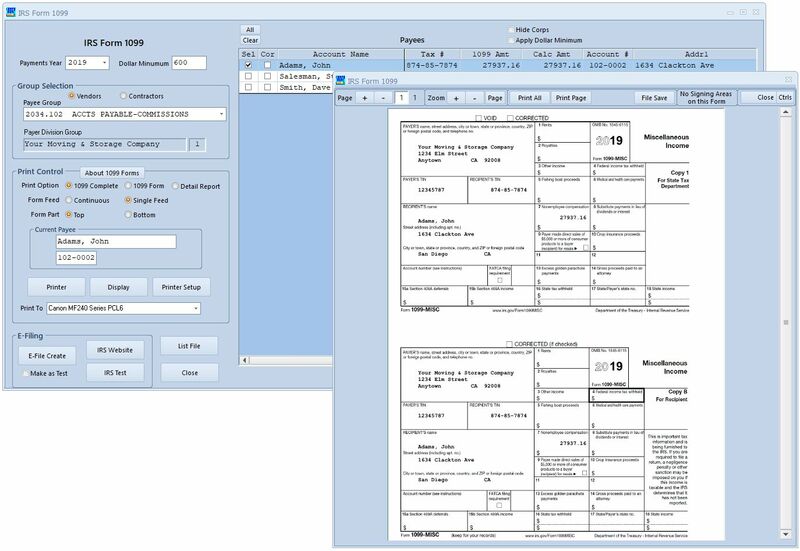 The IRS 1099 function collects data on vendors and contractors, and can perform one-step e-filing directly to the IRS website.